ECOVIS Bondar & Bondar is a law company, member of ECOVIS International, a leading global consulting firm operating in over 60 countries around the world. International capabilities and in-depth industry expertise in Ukraine ensure that our clients receive exceptional service and balanced advice on their challenging projects. Our team of experienced lawyers advise clients on significant and complex matters in Aviation industry, high-profile Competition and Antitrust investigations, multilayer Dispute Resolution cases and PPP projects with a focus on infrastructure sector of Ukraine. Among our clients are local and international companies, Ukrainian state authorities. Considering focused specialization, our lawyers know clients businesses and strategies and understand their current and future needs. Our experts always anticipate problems that may arise during the project and find efficient solutions to them. 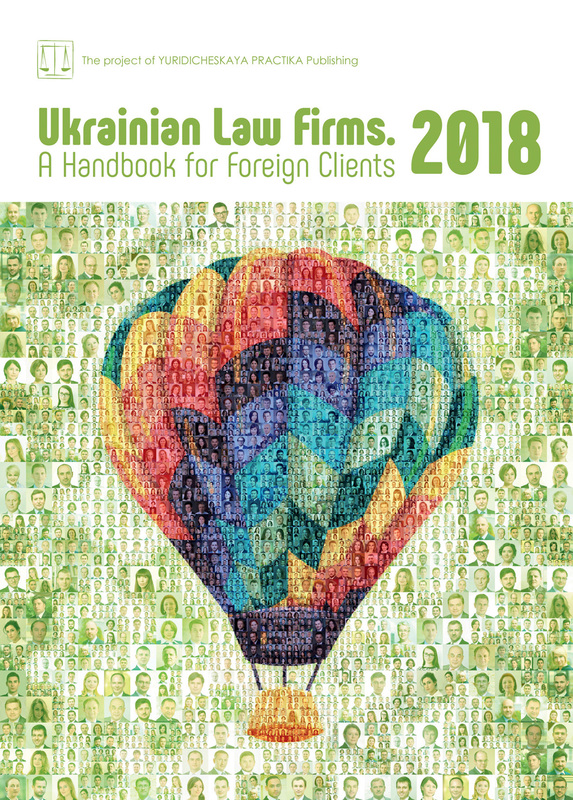 ECOVIS Bondar & Bondar’s work in Ukraine is constantly recognized by respected international and Ukrainian legal rankings and its partners are named among leading lawyers in their respective practice areas. The outgoing year in Ukraine was rich in aviation events. Ryanair’s attempt to enter the Ukrainian market was unsuccessful, however, several European and Asian airlines announced and launched flights to Ukraine, low-cost and hybrid models were actively evolving, and transfer passenger traffic flow has significantly increased. It would, however, be an exaggeration to say that all these developments are to any extent caused by consistent efforts of the regulatory authority. Not a single important regulatory document was adopted during the year. All state regulation activities were mostly limited to public speeches and publications on social media. Such passive behaviour of the state authorities does not imply that problems do not exist — quite the opposite, regulatory work is crucial at this stage of the industry’s development, and it cannot be replaced with self-regulation or active civil position of the market players. Over the year, the industry’s stakeholders were mainly focused on five documents. Work on this document commenced at least two years ago. However, even after quite lengthy debates and consultations the presented Draft Strategy still does not offer the regulatory authority’s market vision and lacks clearly defined development priorities. Today, any industry, including aviation, must seek to create or develop its national product (e.g. budget filling, new jobs and promotion of Ukrainian products on foreign markets). Aviation should also pursue a secondary social goal of boosting public mobility and improving transport accessibility of the Ukrainian regions. Instead, the proposed Draft Strategy is focused on purely formal secondary issues. For instance, it refers to signing the EU-Ukraine Agreement on Common Aviation Area (CAA) as to one of the key goals for the industry as a whole. This agreement is, however, not a strategic goal, but rather an instrument for the sustainable development of the Ukrainian aviation. Presence of low-cost airlines is also another tool to reach the goal and not in itself a goal that would underpin the whole industry’s strategy. Integrating the Strategy for Development of Air Transport and Airports into the National Transport Strategy remains one of the major issues to address. An effective strategy should be tailored to pros and cons of the existing situation on the Ukrainian aviation market. Is the industry sector’s future being planned with regard to such considerations as Ukraine’s advantageous geopolitical position at the crossroads of transit flows; Boryspil International Airport being a major airline hub that handles 40% of transit passengers and already competing with the largest regional hubs in Eastern Europe; significant transit flows; presence of a national airline that is operating based on the low-cost carrier model? Does it address fierce competition with the neighbouring hubs such as airports of Warsaw and Istanbul; lack of mechanisms for corporate governance and economic regulation of monopolists that result in inflated fees, and inefficient organisation of the airport and air navigation operations; and poor condition of airport infrastructure? The Strategy should give clear answers to all these questions. The route allocation procedure is regulated by the Aviation Rules The Procedure for Granting and Revocation of Air Routes Operating Permits approved by the Order of the State Aviation Administration of Ukraine in 2014. In the heat of conflict between the Ministry of Infrastructure of Ukraine and the State Aviation Administration in 2015 for allocation of powers, the Procedure was included in the list of matters pending review, allegedly because of corruption risks. In fact, a certain sustainable application practice has evolved over a few years this document has been in use, and now the route allocation procedure runs smoothly without any scandal or dispute. The Procedure contains an almost arithmetical decision-making algorithm, which makes discretion of public officials — and, therefore, corruption — almost impossible. However, corruption-fighting civil organisations initiated a lengthy process to improve an already efficient document. As expected, the authors were not able to offer any solutions that would be more efficient than the existing document, so the process has not ended in anything, and review of the Procedure was postponed until the adoption of the new Aviation Strategy. It is also worth mentioning issues regarding the ground handling market. The conflict point is that any airport, being a natural monopolist and owner of airport infrastructure facilities, has market powers towards ground handling entities that need an access to its infrastructure to be able to operate at the airport. Airports, therefore, can allow/ban certain players on the market. The applicable certification rules for airport operators envisage that a provider must sign an agreement with the airport (which, in fact, is its competitor) to get access to the market. Addressing this issue requires unbundling of airports, i.e. channelling the ground handling operations into a separate legal structure, and adopting ground handling rules on the basis of European regulations. No changes in ground handling have been observed recently, only an unsuccessful attempt of the State Aviation Administration to incorporate EU Directive 96/67 and the 2013 regulation replacing it. As a result, the regulator received additional powers, whilst the key principles of the Directive (such as transparency and non-discrimination) have not been incorporated into Ukrainian legislation. The state aviation charge currently applicable in Ukraine is not targeted and contains elements of tax, fee and administrative fee. Whilst Europe tends to gradually reduce or phase out the aviation charge, Ukraine is still trying to introduce and increase it. Another problem is that there is no independent authority competent for the aviation charge’s establishment and it is not regulated at the legislative level. The issues related to taxes and charges must be governed at legislative level. The amount of aviation charge, application procedure and whom it applies to should be governed by a separate law rather than a by-law. The Draft Law presented by the State Aviation Administration of Ukraine fails to address the major issue, as the regulatory authority proposed to include a reference to this kind of a charge into the Law, though the responsibility to establish the rates and the payment procedure would be given to the Ministry of Infrastructure. To solve these issues, it is necessary to adopt a law on the state aviation charge that would also govern establishment of an independent authority responsible for the aviation charge procedure and introduction of the state aviation charge for a clearly defined period of time with an option to revoke it in future. It is also important to outline the targeted purpose of this charge and to remove elements of tax and administrative fee from it. The Law should contain provisions envisaging the relevant amendments in the Tax Code and the Air Code. The principal provisions regarding passenger and baggage carriage are contained in the Aviation Rules of Ukraine entitled The Rules of Passenger and Baggage Carriage. Public debates about this document were caused by the need to verify whether the Draft Carriage Rules prepared in 2015 are in line with the Air Code of Ukraine, EU requirements, principles of state regulatory policy, and needs and current challenges of the aviation market that is actively evolving in the area of passenger handling due to introduction of new technologies. The debates were joined by air carriers, Antimonopoly Committee of Ukraine, aviation lawyers and other market experts. The Draft Aviation Rules have certain drawbacks and should be revised, as currently they do not address new business models of air carriers such as low-cost and long-haul low-cost flights, do not account for actual operational patterns of Global Distribution Systems, and in an imperative way define the list of services to be provided by an air carrier, which, in turn, is not in line with the leading European and international practice. The Ukrainian aviation industry is developing at a rapid pace with new players entering the market. This means that the regulatory authority — the State Aviation Administration — should promptly respond to all the challenges and actively work on the documents regulating the aviation industry of Ukraine.